I’ve been looking for a new Mac keyboard lately, and apart from the obvious choice by Apple, I thought I would give something a little bit different to try. So with eager anticipation, I connected my MacBook Pro to the Matias Folding keyboard. Available for both Windows and Mac keyboard layouts, the Matias Folding Keyboard does what it says on the box. 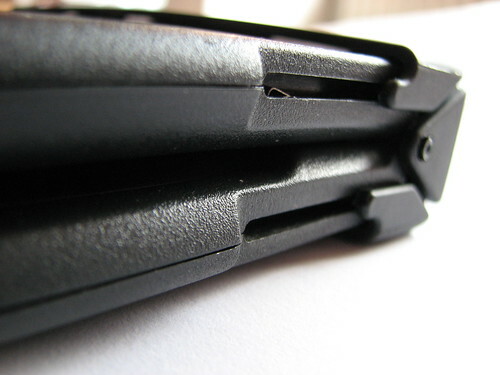 It folds away for taking with you on your travels. This isn’t one of those flimsy rubbery keyboards that roll up and fit in your pocket. As good as they may seem sometimes, in my experience of using them, they’re not that brilliant or comfortable to type on. The Matias Folding Keyboard folds away in half through a cleverly designed hinge on the back of the unit. On the surface of it, the keyboard looks like any other with a full size layout and the usual Mac shortcut keys. Connectivity comes in the form of a detachable mini USB cable included in the box. Matias has designed some time-saving shortcuts in to the key layout. There’s several of them that you will discover when using the keyboard and switching to this new key layout doesn’t take that long. For example, on the right hand number pad, they’ve put in an extra tab key where you normally find num lock for when you’re typing numbers in to spreadsheets. Since Macs don’t require the num lock key, the nmber pad by default is always on. 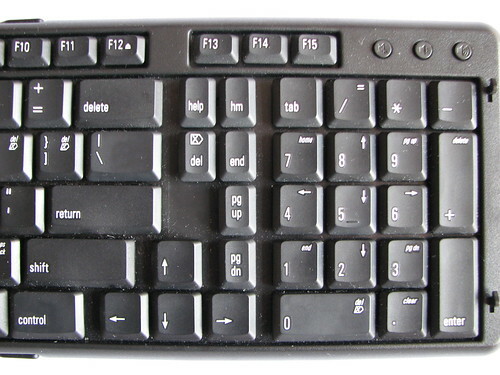 However, you can use it as arrow and navigation by using the fn key. Move over to the left side of the keyboard, and you’ll find a sub-key where the tab is. Hit the fn key which is directly beneath it and tab and you invoke the backspace command. Use the key above the tab key and you invoke the delete key. There’s a bunch of time saving shortcuts dotted throughout the keyboard. At first you won’t use them, but give them a go and you might end up relying on them to the point where you miss them when you’re not using this keyboard. The keyboard itself is very slim, however there’s enough depth to the keys to give you a decent amount of tactile feedback. In terms of how noisy the keyboard is, I would rate it about average. It’s not super quiet and can generate quite a bit of noise if you’re the type who likes to mash the keyboard. For those with a more gentle touch, the sound made by the key presses should be bearable for anyone else in the room if you’re using this in the office. 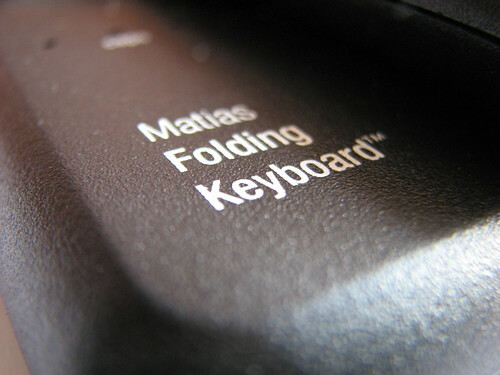 The Matias Folding Keyboard is comfortable to type on and works well for quick typers. 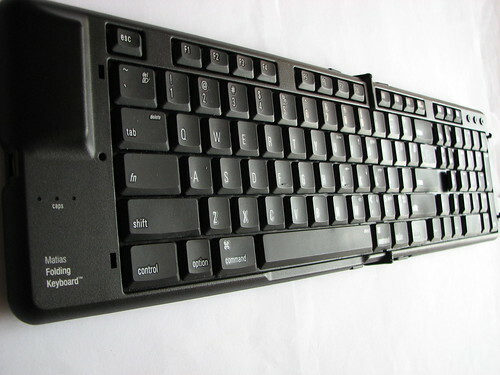 Despite its weight and build-material, you’ll find the keyboard to be sturdy and solid. Characteristics that I think are key to building a comfortable-to-use keyboard. Make the transition from your notebook keyboard to an external one, especially if you use an external display. Coupling the Folding Keyboard with the iRizer laptop stand creates the perfect desktop setup for your Mac or Windows notebook. Matias’ clever design with the Folding Keyboard means you get a comfortable to use, full sized keyboard that can be folded in half for when you’re travelling.